From the stellar visual effects to the out-of-this-world kilig brought by its vibrant characters, GMA Network’s local adaptation of My Love From The Star has undeniably become a nightly favorite of Kapuso viewers. 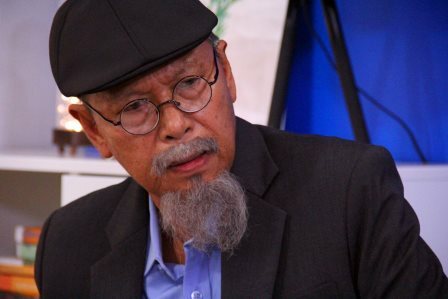 Unfortunately, one of its beloved actors,Spanky Manikan who plays the role of Mr. Jang, cannot continue his character in the show as he is sick and needs to rest. 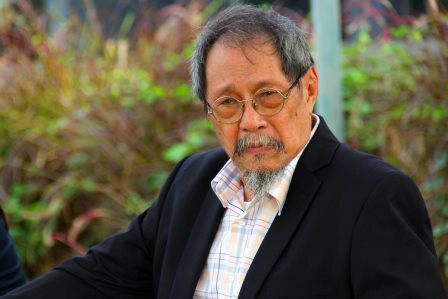 During the show’s early stages, the veteran actor expressed his excitement to be part of the hit Korean series and has declined other projects to focus on My Love From The Star. Gil Cuerva, who plays the role of his dear friend Matteo Domingo, is sad that he has to leave but wishes him well. “I think working with Tito Spanky is one of the best things that can happen to a new actor such as myself. He’s a man with so much wisdom and being the newbie that I am, I was always looking for someone I could ask questions from, get advice from and he was the perfect person to give me a lot of advice, a lot of tips. Ultimately, he is really a great actor to have scenes with and even though the time we spent together wasn’t that much, he somehow has been a mentor to me when it comes to acting. Sir Spanky, get well soon, we miss you. And I hope that our paths will collide again in the future,” he says. My Love From The Star’s main antagonist Gabby Eigenmann, who portrays Jackson Libredo, also had a message. “Tito Spanky, get well soon and I pray that you get better any time soon. Of course umaasa ako na makatrabaho parin kita and it’s always a joy to be working with you. Mahal ka namin,” he says.